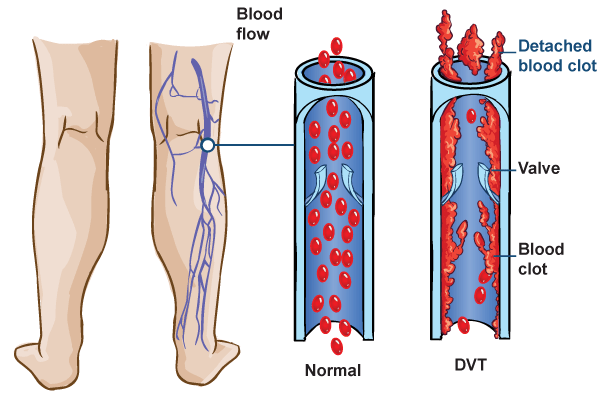 Deep vein thrombosis (DVT) is when a blood clot forms within a deep vein. Although most commonly seen in the left or right femoral vein, which is in the legs, deep vein thrombosis can also occur in other areas of the body such as in the deep veins in the arms or close to the neck. Although this disease is more prominent in people in their 60s, it is never too early to learn the fundamentals of a DVT to prevent yourself or someone close to you from this disease. Make sure that if you do show these symptoms to go and see your doctor immediately. Luckily, there has been innovative technology made to help combat and treat DVT. Unfortunately, it is also possible that one who has DVT may show no signs of having the disease at all, which can complicate things. However, if some of these signs are present, and if the you or the person you know have some of these and fit the general category of those who are at risk, it would be interest to have some tests conducted.